When it comes to youth revolutions, however, it’s a pretty good bet that most of their truest accomplishments will come at least a couple of decades later. The generation of young Arabs who made the revolutions that led to the unrest and civil wars of the present is in fact distinctive -- substantially more urban, literate, media-savvy, and wired than its parents and grandparents. It’s also somewhat less religiously observant, though still deeply polarized between nationalists and devotees of political Islam. In the brief period when they were riding high, they routinely spoke of themselves self-consciously as "youth" and made demands no less self-consciously in the name of their "generation." The two most famous of those demands were "the people want the fall of the regime" and (especially in Egypt) "bread, freedom, and social justice." Many of these groups are now banned by counter-revolutionary generals or by restored and ascendant secret police, while others have faded away in the face of the rise of paramilitary forces and militias -- the very opposite of engaged youth movements and deadly to their open-minded values. Even banished or suppressed, however, their contributions to political life in the region should not be discounted. And where they still exist, they matter. In the summer and fall of 2013 in Tunisia, for instance, youth organizations allied with the country's major labor union to pressure the government, led by a party of the religious right, to step down in preparation for new elections and to allow principles like women's equality to be put into a new constitution. Two or three decades from now, the twentysomethings of Tahrir Square or the Casbah in Tunis or Martyrs' Square in Tripoli will, like the Havels of the Middle East, come to power as politicians. For that we have to wait. In the meantime, we can at least try to understand just what their movements have meant for the region. Those tea leaves are, after all, in plain sight and ready to be read. Back in 2000, sociologist Saad Eddin Ibrahim coined the phrase jumlukiyyah, a melding of the Arabic words for "republic" and "monarchy." This phenomenon of "monarpublicanism," he pointed out, was the dynastic principle that then governed the leadership succession in much of the Middle East. Unlike in republics elsewhere in which unrelated presidents and prime ministers are supposed to succeed one another in accordance with the popular will, Ibrahim suggested that the way Bashar al-Assad succeeded his father Hafez in Syria was a bellwether for the region. Saif al-Islam Gaddafi seemed poised to eventually take over from his mercurial father, Muammar, in Libya. Hosni and Suzanne Mubarak were said to be grooming their younger son Gamal to step into the presidency after the old man passed from the scene in Egypt. In Yemen, President for Life Ali Abdallah Saleh was promoting his son Ahmad, a general in the army, as his successor. Tunisian President Zine El Abidine Ben Ali 's presidential palace was being eyed by his wife, social climber Leila Trabelsi, and his son-in-law, billionaire Sakher El Materi. Because of those youth revolutions, Hafez al-Assad of Syria was the sole republican monarch who passed his country on to his son -- and even then, Bashar has been able to cling to power in just half of his country and only by resorting to atrocities so extensive that they amount to crimes against humanity. Elsewhere, the crown princes of the corrupt old republics are often in exile, court, or prison. Saif al-Islam Gaddafi is on trial in Tripoli. Tunisia is attempting to extradite Sakher al-Materi from the Seychelles Islands. Gamal Mubarak is on trial for stock exchange manipulation. General Ahmad Ali Saleh, the son of the deposed dictator, is being investigated on charges of embezzlement, while his father, accused of plotting a coup, has lost much of his remaining power. Youth opposition to the emergence of royal dynasties in the Arab republics sprung not just from a distaste for the betrayal of republican political principles but from a conviction that such ruling families had become corrupt, nepotistic cartels. As the U.S. embassy in Tunis observed in 2006, "In Tunisia’s small subset of commercial actors, it seems at least half of the elite are rumored to be somehow related or connected to the President." This May in Libya, a complete security mess, the minority Muslim Brotherhood faction in parliament and its allies attempted to put one of their own in the prime ministerial slot. They claimed that conservative businessman Ahmad Maitig had been elected with the requisite 120 votes; the nationalist opposition insisted he had only collected 113. When the issue went to Libya's supreme court and it ruled against him, Maitig relinquished his claim, citing the need to uphold the rule of law, and joining the ranks of Larayedh and other leaders who declined to cling to power and risk further polarization of their fragile societies. The attempt of elected Egyptian President Muhammad Morsi of the Muslim Brotherhood to rule through a clique of fundamentalists (who constitute a minority of Egyptians) deeply offended activist youth. Morsi rejected the idea of a government of national unity despite his narrow margin of victory and instead filled high offices with fundamentalist allies. Last year, he was overthrown, at least in part because millions of youth and workers again took to the streets. In the aftermath, explicitly religious or sectarian parties have been banned -- though the military, which backed the mobilization of the young against Morsi, is again ascendant and has now turned on them, too. The 2011 youth movement in Egypt also sought Christian-Muslim unity. 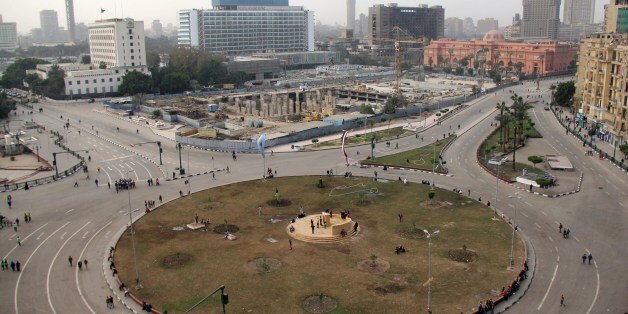 In Tahrir Square on Fridays, Coptic Christian youth would stand guard while Muslims prayed. On Sundays, Muslim activists protected Christians as they held open-air masses. Youth activists were disgusted when Muslim Brotherhood rule meant the bringing of blasphemy charges against Coptic schoolteachers. Even North Africa's most serious ethnic divide, between Arabs and minority Berbers or Amazigh, shows signs of beginning to be ameliorated in Morocco under the pressure of the 2011 protests. The first wave of writing about the revolutions of 2011 discounted or ignored religion because the youth movements were predominantly secular and either liberal or leftist in approach. When those rebellions provoked elections in which Muslim fundamentalists did well, a second round of books lamented a supposed "Islamic Winter." The "Islamic Winter" paradigm has now faded in the countries that experienced the youth revolutions, with the reassertion of the military and the nationalists in Egypt and the severe reversals the religious militias have faced in central Syria. In Libya, Muslim fundamentalist candidates could not get a majority in parliament in 2012. Similar processes have long been in train in Algeria. Even in Tunisia, where the religious right formed the first post-revolution government, they were only able to rule in coalition with secularists and leftists. In the meantime, many of the millennial activists who briefly turned the Arab world upside down and provoked so many changes are putting their energies into non-governmental organizations, thousands of which have flowered, barely noticed, in countries that once suffered from one-party rule. In this way, they are learning valuable organizational skills that -- count on it -- will one day be applied to politics. Others continue to coordinate with labor unions to promote the welfare of the working classes. Their dislike of nepotism, narrow cliques, and ethnic or sectarian rule has already had a lasting impact on the politics of the Arab world. So don’t for a second think that the Arab Spring is over, no matter the news from Libya, Egypt, Iraq, or elsewhere. Over the next two or three decades, as they come into their own politically, expect big changes in the region. Someday, there will undoubtedly be an Arab Summer and the youth of this era will be honored for what they did against all odds. Mubarak’s hired thugs attempted to ride them down with camels. That regime isn't there anymore and the millennials are biding their time. We haven't heard the last of their generation.